An explosion and fire at the Ashton Gunpowder Mill in Kent has killed over a hundred men. It's called an appalling tragedy-until suspicion and rumor raise the specter of murder. While visiting the Ashton family, Bess Crawford finds herself caught up in a venomous show of hostility that doesn't stop with Philip Ashton's arrest. Indeed, someone is out for blood, and the household is all but under siege. In 1916, at the height of the war, an explosion and fire at an armament factory in Kent killed more than a hundred men. With Ashton Powder Mill situated so close to the coast--within reach of German saboteurs--the Army investigated, eventually ruling the event an appalling tragedy. Now, two years later, suspicion, gossip, and rumor have raised the specter of murder--and fingers point to the owner, Philip Ashton, whose son is battlefield nurse Bess Crawford's friend and former patient. While visiting the Ashtons, Bess finds herself caught up in a venomous show of hostility that doesn't stop with Philip Ashton's arrest. Indeed, someone is out for blood, and the household is all but under siege. The police are hostile--the Inspector's brother died in the mill explosion--and refuse to consult either the Army or Scotland Yard. Why, after two years, has the village turned against Ashton? 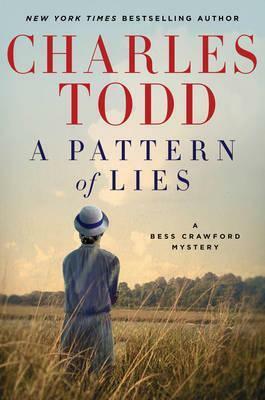 In France, Bess searches for the only known witness to the explosion, now serving at the Front, and tries to convince him to give evidence about that terrible Sunday morning, only to find herself and the witness hunted by someone intent on preventing anyone from discovering what--or who--is behind this web of vicious lies. Uncertain whom to trust, she can rely only on her own wits and courage, but how can she stop a killer whose face she has never seen? Philip Ashton is urged to throw himself on the mercy of the court--where he will surely find none. Time is running out. And Bess, at the point of a gun, has only one choice left: to risk her life to save the Ashtons.